Gambling legislation all around the world can affect you. Local gambling law changes are important but many jurisdictions look to other gambling destinations to make sound legislative movements. Keep an eye on what’s going on around the world with our weekly column. Don’t be afraid to email us at [email protected] if you have any information on gambling law changes – or leave a comment below. Big news Down Under this week with the Australian Senate passing the Interactive Gambling Amendment bill 2016 with secondary amendments. It will now face the lower house at the next parliamentary sitting. Meanwhile, India is considering to go in the opposite direction and legalise online gambling, as is Brazil. Meanwhile, Ghana has been caught up in a match-fixing scandal. The Interactive Gambling Amendment bill 2016 faced the Senate this week. It was passed with additional amendments, including plans to phase out gambling ads broadcast during live sporting events. Senator David Leyonhjelm’s secondary amendment to save online poker and blackjack failed. As a result, PokerStars’ days in the Australian market are numbered. The legislation, which bans in-play sports betting, will now face the House of Representatives during the next sitting, where the additional amendments will be discussed. If passed it will be enforced and will come into effect either immediately or a date decided by the government. Australian gambling conglomerate Tabcorp has been officially fined $45 million for failing to comply with anti-money laundering and anti-terrorism laws. It is the biggest civil penalty in Australian corporate history. While last week we reported online poker was in the New York Senate’s budget proposal, New York Assemblyman Gary Pretlow said it isn’t likely to remain in the final budget. Pretlow said while he is ready to fight for online poker, his chamber’s leadership isn’t convinced it is a game of skill and now is not the time to battle for the global pastime. The Florida House of Representatives’ Ways and Means Committee has voted to renew the 20-year gaming contract with the Seminole Tribe Of Florida which was signed in 2010. Known as HB 7037, the suggested measure will now face a ballot by the full chamber in Tallahassee. The agreement has caused some controversy, but if this bill passes it will give the tribe exclusive rights to “banked” card games, including blackjack in Miami-Dade County. A third online gambling bill has emerged in Pennsylvania. It moves to legalise and regulate online gambling and daily fantasy sports, reinstate the local share tax, include progressive slots and even allow tablet gambling at some airports. In North Dakota, a bill to open six state-owned casinos has failed. It would have required voters to amend the state’s constitution, which currently prevents legislators from sanctioning “any game of chance, lottery or gift enterprise”. The Law Commission in India has reportedly determined regulation of the gambling industry would be better than prohibition. Head of the Commission, retired Justice Balbir Singh Chauhan, revealed gambling does incite negative problems including increased crime levels and addiction potential but these aren’t reasons for a complete ban on gambling in India. The new gambling treaty which will lift the cap on the number of bookmakers in Germany was approved by all 16 states. It will be enforced on January 1, 2018, and will see an expansion of the country’s sports betting market despite objections from the European Commission. The Brazilian Senate’s Special Committee on National Development has approved gambling legislation which will regulate the online gambling market. It was already approved in December but 16 proposed amendments were added which were agreed to this week. 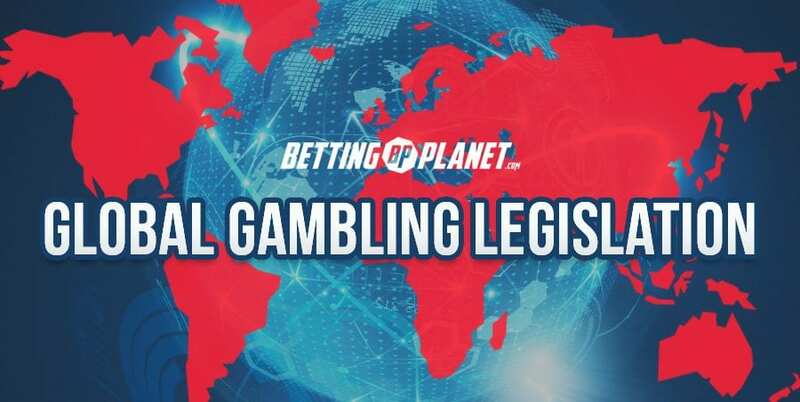 While gambling has been illegal in Brazil for the past 70 years, the legislation will make internet gambling, sports betting, land-based casinos, and bingo halls legal. According to the international credit-debt watcher, Fitch Ratings, the multi-billion dollar casinos planned for Japan aren’t likely to affect other gambling powerhouses. Fitch Ratings has said it is unlikely the Japan gambling destination will trigger casino cannibalisation in the region. Police have arrested 41 men and one woman for facilitating, instigating, and promoting public gambling, as well as gang-related activities. The arrests followed a five-hour raid by the Criminal Investigation Department in Geylang. Cash, mobile phones and gambling equipment were all seized. A Ghanaian referee, Joseph Lamptey, has been banned for life by FIFA after being found guilty of unlawfully fixing the national team’s 2-1 World Cup win against Senegal in 2016. He had handed Bafana Bafana a soft penalty for handball moments before half-time and then allowed a second goal to be taken in controversial circumstances. New Zealand’s Racing Minister, Nathan Guy, has proposed an amendment to the Racing Act 2003 which will make in-play betting legal. It also proposes a royalty fee to be incurred by all offshore licensed betting operators when using NZ products, such as local races. Offshore operators will also receive a point-of-consumption tax for every bet placed on Kiwi sporting events.